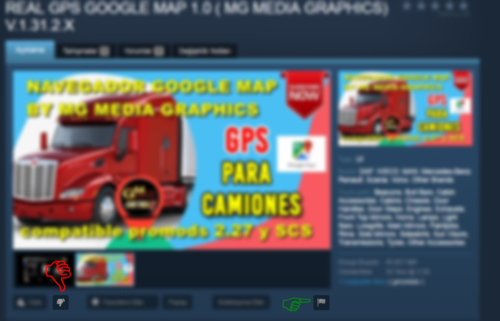 *Compatibility for 2.26 ProMods version was brought. I just discovered it and it is very good, thank you. The mod is nice, but it would be nicer if the undriven street has a different color in the route advisor. First of all thank you. Colors were set similar to the Google Maps Navigation. If you don't like it, try the night version. Colors are different in night version. I want everybody to report this theft. I look forward to your support. edit: With the contribution of all your reports, the legal process has progressed rapidly. The thief's mod was removed from the workshop. Thank you very much for all support. *Compatibility for 2.30 ProMods version.